With all that exists out there about what company is paying whom to say what about whatever… we’ve decided to create a page which lists all of our relationships with different companies out there or any products that we use or mention on a regular basis. We preach transparency in our talks and workshops, so here it is. We can say up front that we belong to no company, and have no sponsor. We work with companies that sponsor certain events that we do, but we have no brand sponsor. We do this so that we have the freedom to say what we want at all times. We also don’t accept products or services for free with any conditions other than the requests we’ve gotten for some behind the scenes photos or videos of us using the products if and when we use them. [ b ] school – We worked for [ b ] school to produce content for thebschoolblog.com and worked to launch thebschool.com website (and provide a short stint of customer service) in 2008, and have had no involvement with the website since except normal membership. Our lifetime memberships were provided to us during the launch. borrowlenses.com – Gustavo Fernandez asked borrowlenses.com to sponsor almost all the gear for our SF lighting workshop. 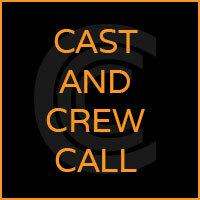 In exchange we provided them with a video testimonial about our experience, which was great. We also gave away a gift certificate as a prize at our SF SMUG talk. Eye-Fi – Eye-Fi offered to send us some cards to use for our project at WPPI where we live-streamed photos to our Whrrl accounts online using Sprint Wi-Fi cards we paid for ourselves. Their only request was that for the duration of the project (3 days) we left the default upload setting (shows that images were uploaded by Eye-Fi) and that we branded the project page showing that they were a sponsor. FastTrack Photographer – Dane Sanders asked us to team up with him to create the Ask Dane weekly produced videoblog, which ceased production in June, 2009. We also created the Blogger’s Lounge at WPPI 2009 with Dane, sponsored by WPPI; which then became the New Media Lounge for WPPI 2010 when Pictage took over sponsorship. Hoodman – Vu has a friendly relationship with some of the owners of Hoodman, and has known them and worked alongside them at tradeshows for years while running the Shootsac booth. We use Hoodman CF cards because they are the fastest and most reliable on the market, and other Hoodman products because they are innovative and unique. We have purchased some of our Hoodman cards, and Hoodman has provided us with some of their products for free with no terms or conditions. J!NX – We were introduced to J!NX because they hired Smashfach Productions to shoot 3 television commercials and Smashface hired us to DP them. Through that relationship we also got hired directly to shoot some party videos and photos for J!NX as well. They’ve provided us with T-shirts with no terms or conditions, and we wear them all the time because they are awesome shirts. KISS Wedding Books – Vu shares an office with Shaun of KISS in Fullerton. We have been hired by KISS multiple times to provide video event coverage for their parties. We are also regular customers of KISS’s wedding albums and happily pay full price for them. Olympus – We requested editorial demo units of the new Olympus E-P2 for our WPPI and SXSW trips, and they granted it. There were no terms or conditions except that we return the units after 30 days. Pictage – We were regular Pictage customers in 2007 but left the service for the sole reason that we weren’t shooting weddings. We teamed up with Pictage for the WPPI 2010 New Media Lounge, which they sponsored. We’ve developed a great relationship with the company and now occasionally write blog posts for the Pictage blog, and are excited to be involved with some Pictage events in the coming months. Shootsac – Vu used to work full-time for Shootsac as Operations Manager and Tradeshow Manager. Lan currently does consulting work for them. We use Shootsacs on a regular basis because we like them and there is, in our opinion, no competition. We do lots of Shootsac product giveaways at our workshops and speaking engagements because people really appreciate them. Shootsac has provided us with their products for free with no terms or conditions. SmugMug – We approached SmugMug in 2009 with an idea for them to financially sponsor most of the cost of a trip to Hawaii to shoot the forthcoming release of a set of tutorials on low-budget fusion tutorials. They also provided us with 2 accounts with a year of pro subscription to host the videos. We use our SmugMug accounts to host some of our client photos as well because they really work perfect for our use. Tofurious – We were hired to produce video content for and to plan the launch of the Tofurious SEO tour. We were also hired to produce the content of the digital downloads. Westcott – Lan met the Westcott folks at a tradeshow and after learning about us and our projects they offered to send us some of their lighting products with no terms or conditions. We’ve used the lights on numerous shoots and have been completely happy with them (they’ve replaced our Alien Bees on all our indoor shoots). They did ask if we would send them some of the photos that we actually created with their lights if and when we shoot something we’d like to share. Whrrl – We approached Whrrl with the idea of doing a project for WPPI with live streaming photos using Eye-Fi cards. They set up a custom page for us and for Pictage. Since then we’ve also hooked them up with The Streamys Awards Show because the service is unique and is really perfect for photographers, and the team has been great to work with. 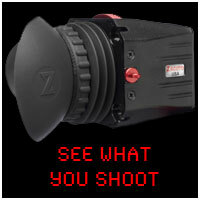 Zacuto – We have been involved with a small screening with Zacuto for one of their non-product related shows. We’ve used their gear on a number of shoots and continue to use it because it’s the absolute best that we’ve seen and is the most comfortable/customizable (shoulder mount DSLR rigs). We’ve given away one their products at a presentation. Zacuto has also provided us with some of their product for free with no terms or conditions, though they asked if we could occasionally send some photos of us using the products behind the scenes if and when we use them. They have also provided us with an affiliate program which we use when we link to their products. If there’s a company, service or product you think we should be listed here because you question our relationship with them, email us and ask… we’ll add them to the list. It's crazy you guys have to do this…better safe than sorry though…thanks guys love what you do! Hey Geoff! Thanks for supporting us! Well, since we are trying to be as transparent as possible we thought it would be nice to just be up front and say it. No one asked us to do this, we just believe everyone should know where we stand and hope other people and companies do the same. Pingback: DWF » Blog Archive » Photographers Shout I’m Telling the Truth… Honest!